We actively promote the management business by making effective use of prime assets such as office buildings, commercial facilities, and residences. 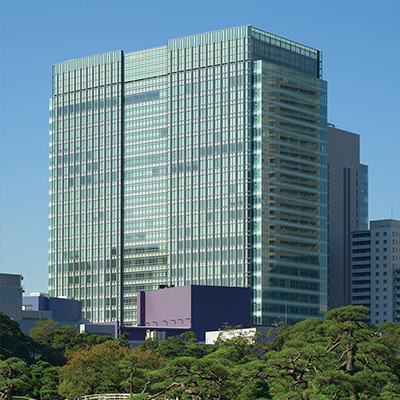 These assets are operated in major cities across the country, with the majority being in the Tokyo Metropolitan Area. We will continue creating new investment opportunities as we work to further revitalize the real estate investment market. At the same time, we will continue responding to the diversifying range of investment needs. 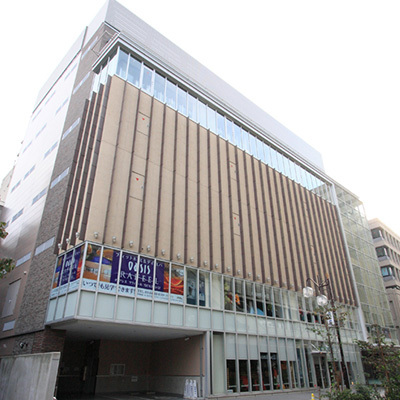 Tokyu Land Corporation offers two listed REITs and private placement REITs. We aim to maximize investor value by leveraging the advantages we possess through Tokyu Fudosan Holdings Corporation's wide range of assets and comprehensive support system. * Asset management company of Activia Properties Inc., Comforia Residential REIT, Inc. and Broadia Private REIT,Inc. 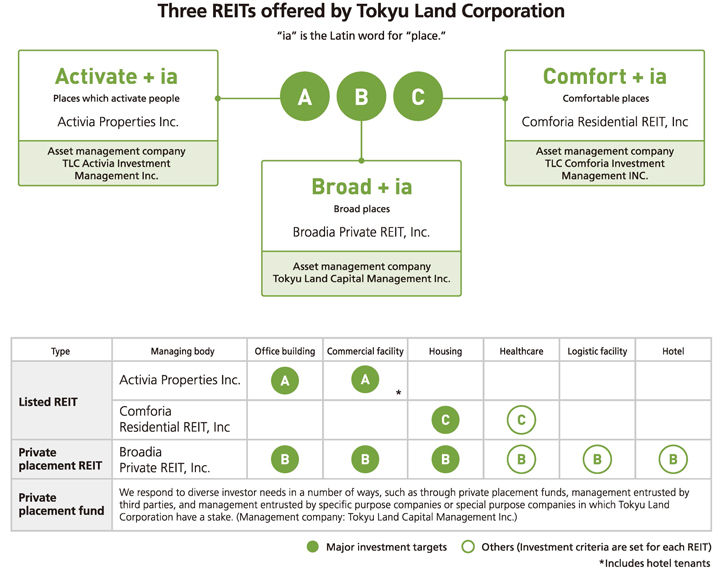 : TLC REIT Management Inc.
* Asset management company of private funds: Tokyu Land Capital Management Inc.
REITs that were listed on the Tokyo Stock Exchange in 2012. 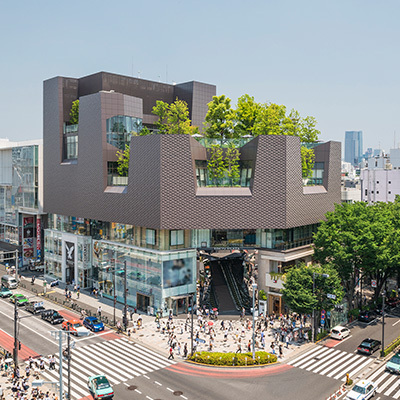 We make intensive investments in urban commercial facilities and offices in the 23 special wards of Tokyo, aiming to be a company that offers society a wide range of vitality. Activia Properties Inc. TLC REIT Management inc.
REITs that were listed on the Tokyo Stock Exchange in 2013. We mainly invest in and manage rental housing in the 23 special wards of Tokyo based on the underlying concepts and expertise of the Comforia series, which are urban rental residences produced by Tokyu Land Corporation. Comforia Residential REIT, Inc TLC REIT Management inc. Private placement REITs formed in 2014 that are mainly for institutional investors. We aim to build portfolios with effective risk diversification. To do this, we invest in a wide range of assets, such as hotels, logistics facilities, and healthcare, particularly office buildings, commercial facilities, and housing. We respond to diverse investor needs in a number of ways, such as through private placement funds, management entrusted by third parties, and management entrusted by specific purpose companies or special purpose companies in which Tokyu Land Corporation have a stake.